Every day, throughout Englewood Health, “small moments” create a lasting impact for countless patients and their families. 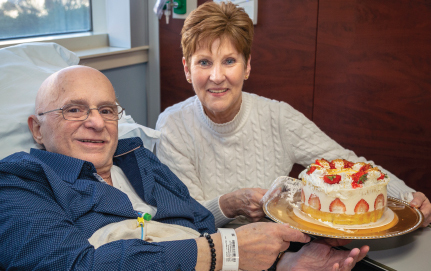 Just ask Bob and Lillian Sottolano who arrived for Bob’s chemotherapy appointment greeted by his team of nurses and a surprise 50th anniversary party! This exemplary culture of caring demonstrates in a very tangible way the impact of philanthropy. Bob and Lillian share, in there own words, what it’s like to be part of the ‘family’ at Englewood Health: click here.